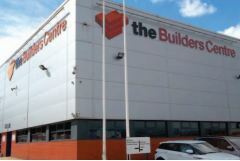 We are delighted to announce the new addition to the Frank Key Group, The Builders Centre Sheffield. The Builders Centre is a long established independent Builders and Plumbers merchant based in Sheffield and serves the South Yorkshire area. Run in a similar way to Frank Key, with a strong focus on selling quality products, in well presented premises, whilst offering a customer service that is second to none. The team is led by Managing Director Perry Eyre, with considerable experience within his team of selling a very similar product range to the Frank Key companies. The business will continue to operate separate from the main Frank Key merchant division due to the distinct region it operates in, but for both sets of customers the full Frank Key network can be accessed on existing agreements. Meaning a Sheffield customer can now access the merchant and hire divisions in Nottinghamshire and Derbyshire and vice versa, speak to your account manager for further details. Lots of development will take place over the coming months, and the Group is very excited to be moving into the South Yorkshire area and combining the strengths of the respective business to add to the Frank Key offering.